In a nutshell, if there is not a customer buying something, it is a pyramid. But this ones difficult to spot. The website above is still up and although simplistic, it makes a good case. 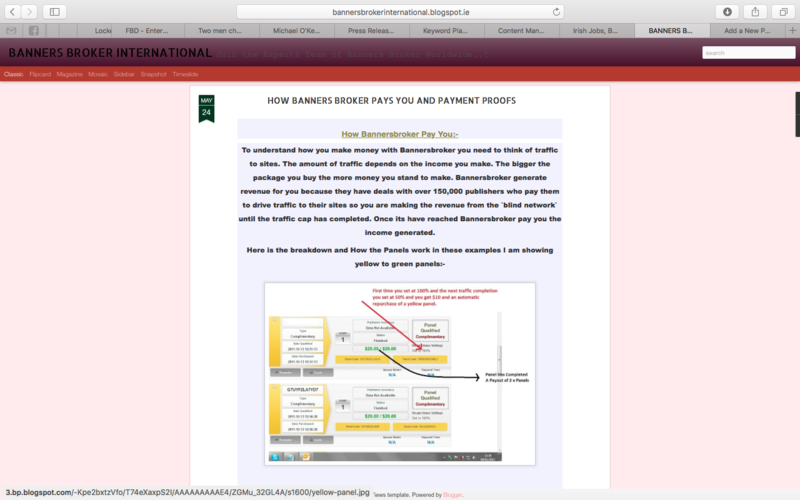 “A visitor to the Banners Broker website would be told of an operation that would allow the viewer to advertise their product or services online, themselves become an online publisher in partnership with Banners Broker, or — in a “unique operation” – both buy and sell advertising space in a way that would allow the profits from selling the space to third parties offset (and then some) the cost of buying advertising from Banners Broker for the investor’s own product or service,” she said in a recent court affidavit. 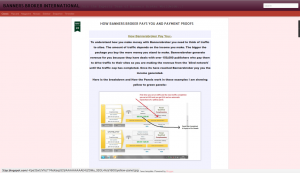 She found that, unlike other online advertising ventures, the Banners Broker investor did not just rent a fixed space on a website and then earn revenue from the audited internet traffic the hosting website generated. “Instead, before a banner could start to earn money for an investor, Banners Broker insisted the investor had to take steps to “qualify” the banner,” she said. Novice investors were tempted in by the fact that, initial packages did not have to be qualified and so, for every $10 in advertising that person bought, they would soon find they had earned $20 as a “publisher”. However, they would have to automatically have to re-invest at least half the money. However, after a couple of rounds of that they would have to start “qualifying”. She found that throughout the scheme, operators Chris Smith and Rajiv Dixit and their associated corporations had investors pay their investment money to merchant account providers, legitimate corporations that processed credit card payments.